This font has been developed exclusively for SAZ Services and their client Heinz-Sielmann-Stiftung. 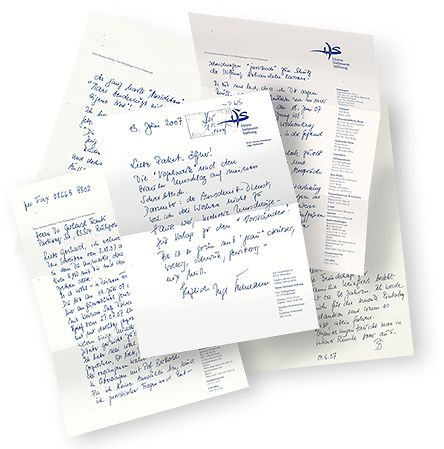 Coming from a few samples of the chairwoman Mrs. Inge Sielmann’s personal handwriting we created a convincing script font. 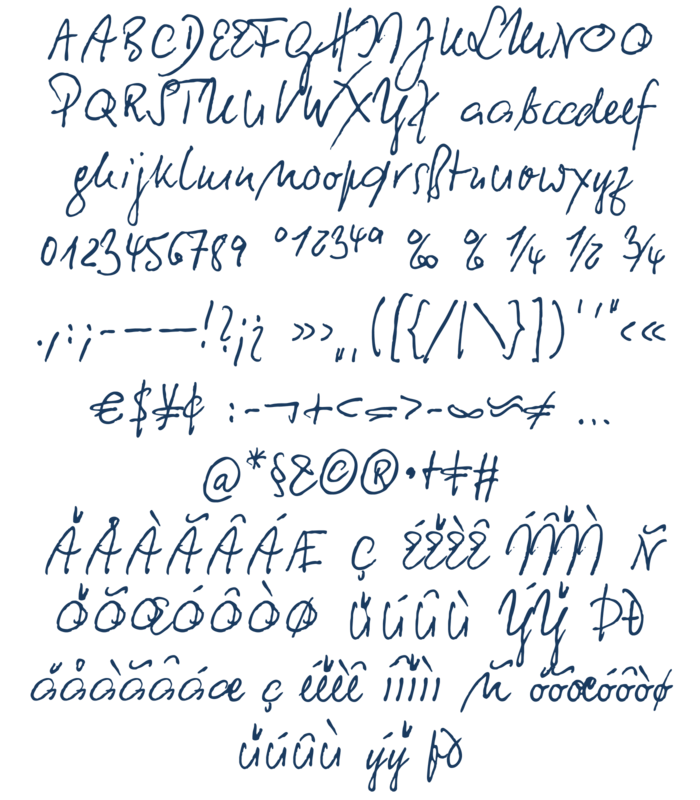 Scanned letters with written notes served as a pattern. Of course many characters were missing. 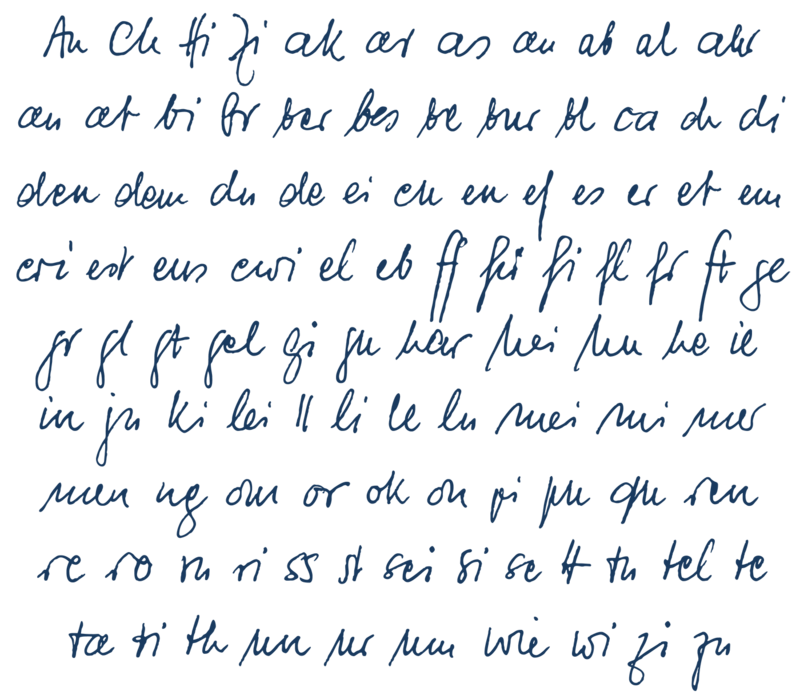 And some letter combinations didn’t even occur therein.We were able to emulate these missing characters up to the complete Unicode Latin 1 character set. Numerous distinctive letter combinations (ligatures) were withdrawn from the original pattern. Others had to be “invented ” yet. 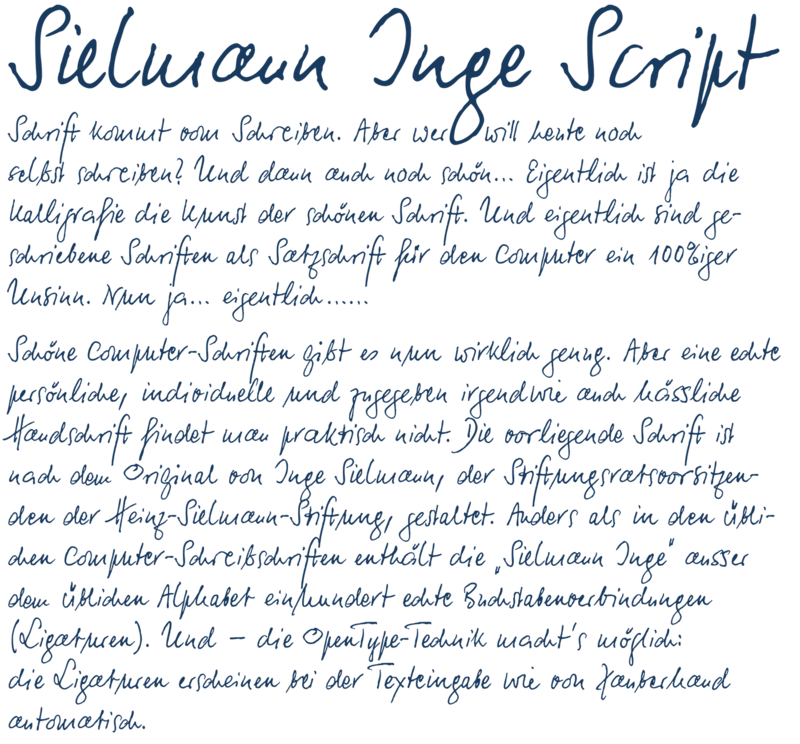 At large Sielmann Inge Script is including 100 ligatures. Only with these ligatures a text set with this type becomes a persuasive handwriting, because many letter combinations are being replaced by ligatures. That way single characters appear in different forms depending on the character they are combined with. Thus this type actually looks like it is written by Mrs. Sielmann herself.